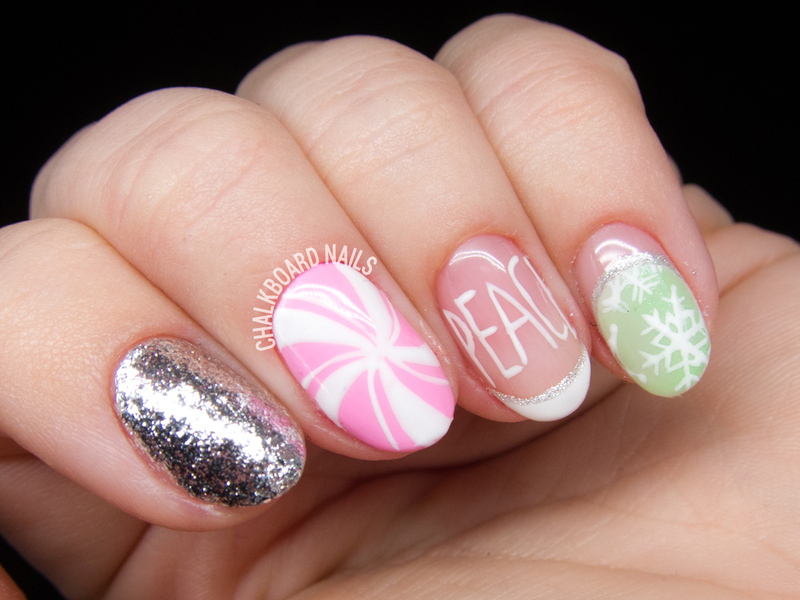 Meet my current holiday nails! I sat down to do a festive set the other night, but wanted to take them in a slightly different direction than the usual seasonal fare. I reached for the pastel versions of red and green and combined them with silver accents for a marshmallow winter set. I'm in love! Gelish Look at You, Pink-achu! 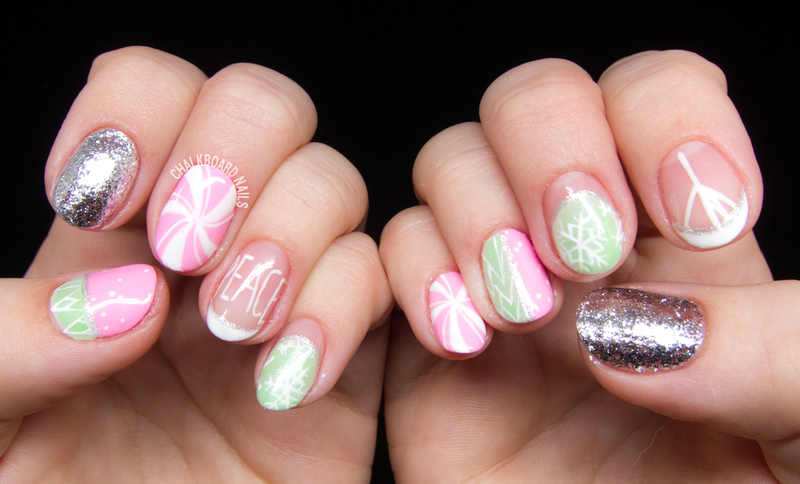 Since I am still obsessed with all things Japanese nail art, this set is inspired by that style. I'm still working to master their eye for mix-and-matching, but I think I found a pretty good balance here that I'm happy with. 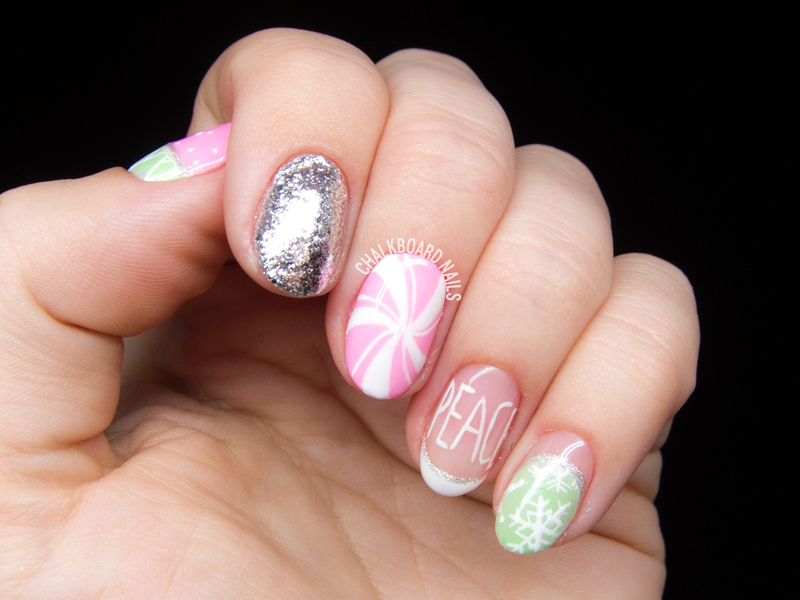 All of the details are handpainted, from the "PEACE" to the snowflakes! I also opted for a peace sign on my right hand, cause my left hand can't handle lettering (plus, it mixes things up a little more!). I really love this set and my clients have been enjoying it, too! It's nice to feel festive without the traditional "rich red, deep green, glittering gold" color palette.